Your computer comes shipped with the Tobii Experience app and the required drivers, but in case you can't find the app or if it's not working correctly, here is a short guide of how you get the app and the required drivers. Go to Settings - Updates & Security. Click Check for updates to find all the required Tobii drivers. Then please install. Then search for the Tobii Experience application in your Windows start menu, if you can't find it installed, you can download it from the Microsoft store here. To download applications from the Microsoft store, make sure that you have the correct time zone set in Date & Time settings in Windows. If the Tobii Experience app displays the message above, check if the Tobii Service is running in Services. To bring up Services, right-click on your start menu icon and open up Task Manager and then go to the tab Services. If it's set to Stopped, please start it manually and check if your eye tracker has been detected by the software. If the Tobii Service is not present at all, you have to run a separate installer. Please go to Alienware Area-51m driver page on dell.com. Search and download Tobii Experience drivers. Run the installer application and extract the content. Once extracted, press View folder. Once installed, go to Task Manager - Services and check if the Tobii Service is running. If it's not running, please right-click and choose Start. 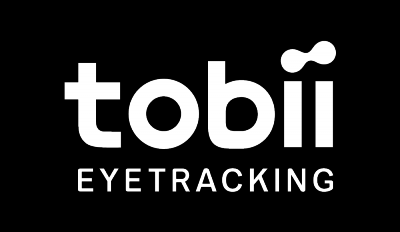 Then check Tobii Experience if you're eye tracker is up and running. If you need assistance or further help, please contact support.